Fibromyalgia is a widespread chronic pain condition that affects an estimated five million people in the U.S. Today is Fibromyalgia Awareness Day, and we think it’s a great time to dispel some of the common misconceptions about this debilitating, painful condition. Here are seven damaging misconceptions about fibromyalgia. This is perhaps the most damaging misconceptions about fibromyalgia. Because fibromyalgia is an invisible illness with no discernible cause, it can be easy to dismiss fibromyalgia sufferers and their reports of pain. Many people can’t believe that someone who looks healthy could actually be in debilitating pain. Fibromyalgia changes the way the brain processes pain signals, sending pain-receiving neurons into overdrive at the slightest stimulation. The changes that occur in the brain are measureable. Pain points can be located in specific areas on the body, or the patient may experience widespread pain. Many fibromyalgia patients try to remain stoic and work through the pain, but during painful flare-ups, pain can be debilitating and make the tasks of daily life impossible. Between 75 and 90% of diagnosed fibromyalgia sufferers are women between the ages of 20 and 50. Women do have a much higher risk of developing fibromyalgia, possibly due in part to the role that hormones play in fibromyalgia. While women do have a much higher rate of diagnosis than men, men are also susceptible to developing fibromyalgia. That they are diagnosed at a much lower rate may have to do with actual incidence of fibromyalgia, but there may also be cultural factors at play. Men are much less likely to report pain due to the perception in the U.S. that pain is a sign of weakness. In reality, there may be many more men in the U.S with undiagnosed fibromyalgia. Many people credit the wonders of the gluten-free, sugar-free, dairy-free diets for their successful treatment of fibromyalgia, but there is very little scientifically valid research that indicates that diet alone can cure fibromyalgia. It is true that everyone’s biology is a bit different when it comes to food. Gluten, sugar, and dairy products are all highly inflammatory and may contribute to painful flare-ups. While there is no known cure for fibromyalgia, keeping track of pain symptoms and food concurrently can give you an idea of which foods seem to trigger more pain. A poor diet may contribute to obesity or other health conditions that can exacerbate fibromyalgia symptoms as well. This misconception has a grain of truth. Diseases have specific and traceable causes. Since fibromyalgia does not have a set of causes that lead to diagnosis, it is not technically a disease. Also known as a syndrome, fibromyalgia is classified as a disorder because it is a collection of symptoms that occur together. The most prominent symptom is pain, but there are over 200 other symptoms that include gastrointestinal issues and mood disorders. Just because it is not considered a disease with a traceable cause doesn’t mean fibromyalgia is any less serious. Because fatigue can be a major symptom of fibromyalgia, many would try to put these two conditions together under the same umbrella, treating them the same way. People with fibromyalgia may also be diagnosed with chronic fatigue, but the connection doesn’t necessarily go both ways. In fact, many of those with CFS may have no pain at all, just unrelenting fatigue. They are completely different disorders that happen to share some symptoms. It would seem to make sense that when movement makes pain worse, patients should move as little as possible, right? For a long time doctors would recommend limiting physical activity using this rationale. This makes for one of the most damaging misconceptions about fibromyalgia, when it comes to the actual body. Joints that ache and muscles that hurt due to fibromyalgia are like rusty gates that need oil. Proper exercise can help fibromyalgia patients slowly and carefully smooth out those pains. It is important to start slowly and build up, but some exercise every day is now a standard recommendation for managing fibromyalgia pain. Because a fibromyalgia patient’s life is not in immediate danger, many feel that fibromyalgia is not a particularly serious disorder. While it’s true that fibromyalgia does not pose an immediate risk of death, chronic pain poses its own set of health risks that can be life-threatening. 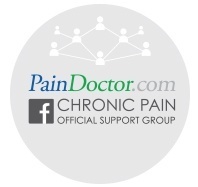 People in chronic pain often suffer comorbid physical and mental conditions, including diabetes, heart disease, and mood disorders. Fibromyalgia puts a person at much higher risk for depression, and the vast majority of completed suicide attempts are carried out by those with a history of depression. Fibromyalgia wears patients and their families down over time. While it may not require immediate attention to prevent imminent death, if left untreated, fibromyalgia increases a person’s chance of early death in a number of different ways. If you or someone you love suffers from fibromyalgia, what are some common misconceptions about fibromyalgia that you have heard?